Abhishek Murali gives us a snapshot based on Finance Minister, Arun Jaitley’s, Budget 2018. The Finance Minister, Arun Jaitley, has presented the Budget for 2018, and people have been keeping a watchful eye on what it has in store for different segments of the economy — individual as well as corporate taxpayers. Under the Presumptive Income Scheme, 41% more returns have been filed; 5.68 lakh returns have been filed by professionals. Exemption of interest income on deposit with banks and post offices to be increased to Rs.50,000 under 80TTA. There will be no TDS on 194A. LTCG on equity shares are currently exempt. 10% LTCG tax on investment in equity shares exceeding Rs. 1 lakh. This will be without indexation. All gains up to 31st January 2018 will be grandfathered till the highest price as on 31st January, 2018. 100% deduction now to farmer companies also where turnover is less than Rs. 100 crores. 30% additional deduction for new employees under Sec. 80JJAA. Minimum period relaxed to 150 days in apparel, footwear and leather industries. The above are the highlights of Budget 2018 in a nutshell. The rest of the proposals and details can be found in Annexure 5. 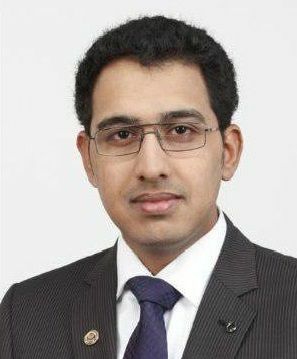 Abhishek Murali, the first of our guest writers, who will feature on the Influx blog on matters of interest, is a practising chartered accountant based in Chennai. He is the Managing Director of Victor Grace & Co. and an elected Regional Council Member of the Institute of Chartered Accountants of India (ICAI).